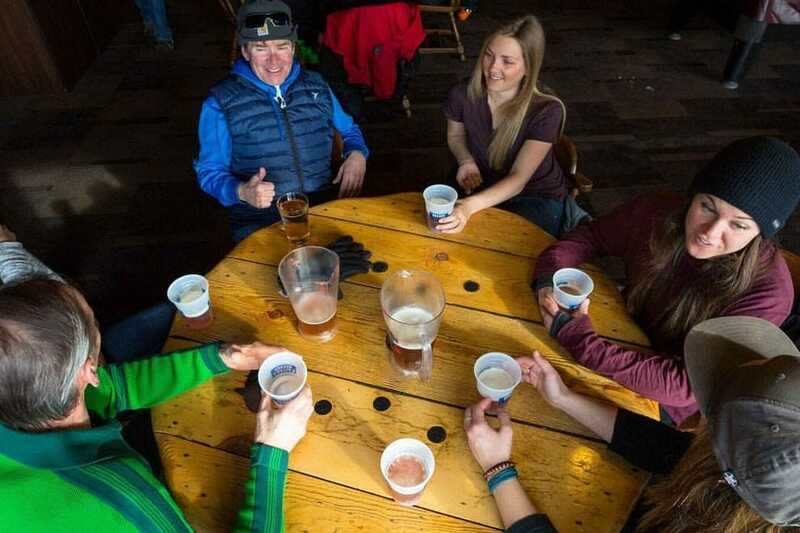 When the sun goes down and the lifts shut down for the day, bars and restaurants in ski towns across North America fill up with skiers and snowboarders looking for a good time with good friends. 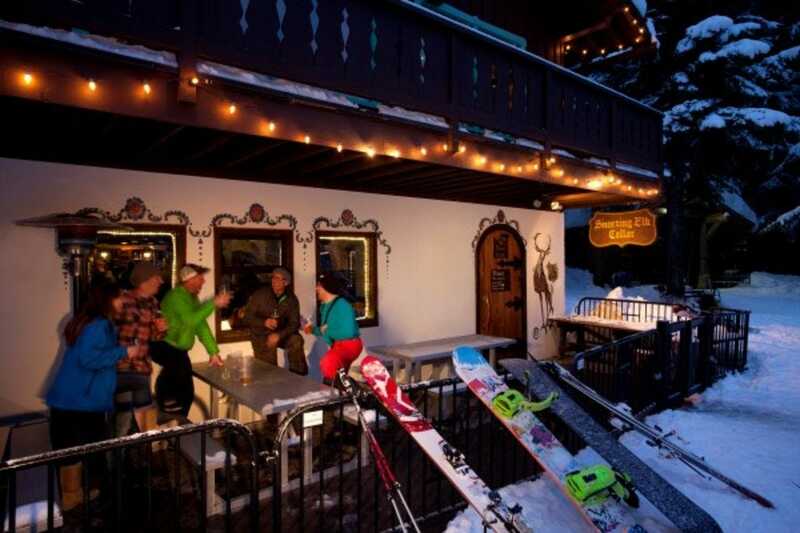 These top top après-ski bars offer top notch food, drink and atmosphere–a perfect setting to close out a perfect day on the snow. The Matterhorn Ski Bar in Maine was inspired by the great ski bars of the world, including one at the base of Matterhorn mountain in Switzerland. 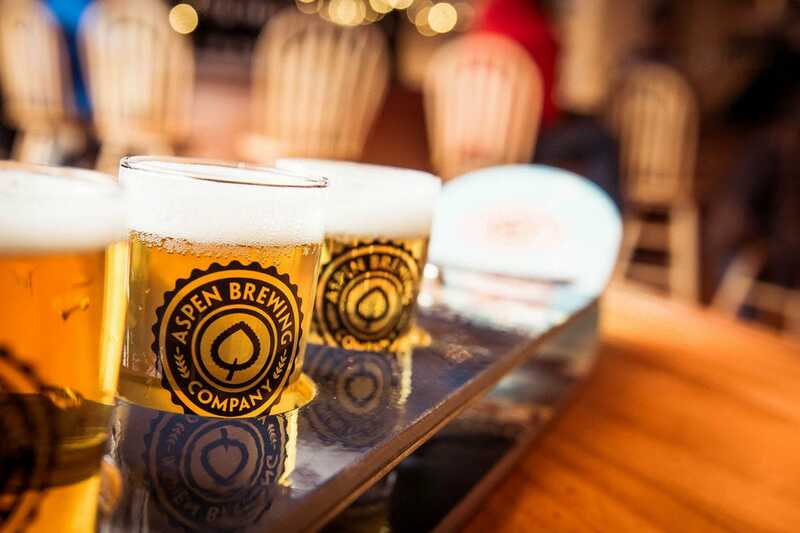 This New England favorite keeps Sunday River skiers and snowboarders coming back for its pizza, beer and live rock music. 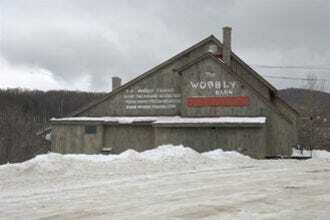 Squaw Valley's Le Chamois & The Loft Bar helped pave the way for the après-ski scene in North America. California sunshine, comfort food (think pizza and chicken wings) and budget-friendly beers make this a Tahoe-area favorite. Thirsty groups of friends can take advantage of the Buddy Pass, which includes 20 pints of Budweiser for $80. 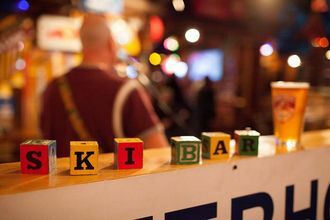 This new seven-days-per-week après spot in Aspen has quickly become a popular option to end a day on the mountain, thanks to its live music, pizzas and drink specials. 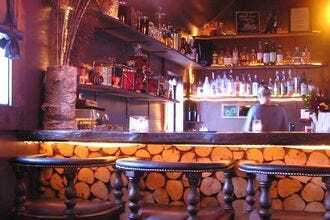 Housed in an old miner's cabin off of Elk Ave. in Crested Butte, The Dogwood Cocktail Cabin mixes up creative cocktails, served alongside small plates (salted caramel corn, house-made pretzels with beer cheese, roasted rosemary spiced nuts and chocolate fondue for dessert) in an intimate, cozy setting. A passion for craft beer and the mountain lifestyle inspired the founding of Aspen Brewing Company in 2008. Today the brewery, situated on restaurant row above Over Easy, invites skiers and riders to #DrinkTheView out on the deck with a pint of local beer in hand. A sizable menu of draught and bottled craft beers complements the menu of pizza and pub grub at Goldminer's Saloon in Alta. Situated within the Goldminer's Daughter Lodge, this upstairs dining room features a fireplace, pool table and plenty of comfy couches. 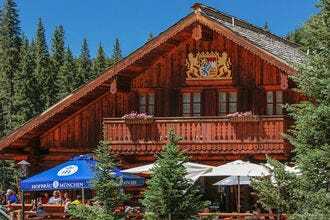 The European-inspired Bavarian Lodge at Taos Ski Valley in the Sangre de Cristo Mountains has everything you'd want from a German biergarten, including lederhosen-clad staff. 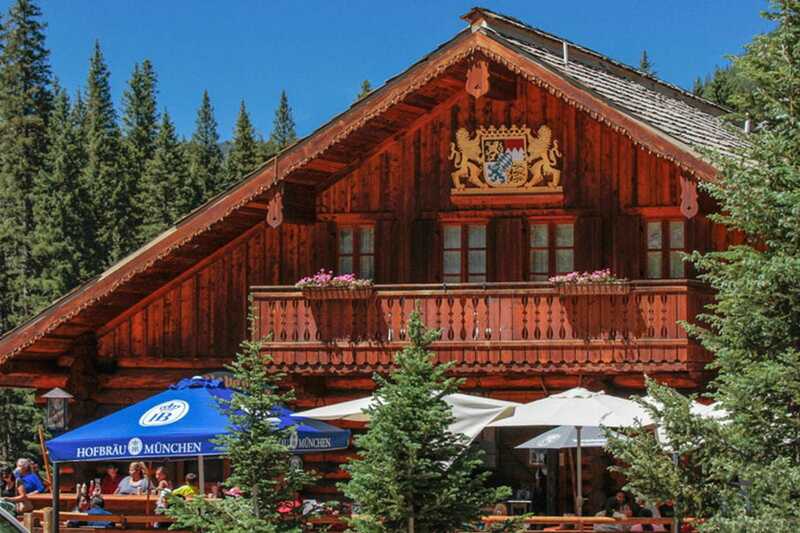 beer steins, a sundeck and a menu of hearty Bavarian fare. Its location at the base of Kachina Peak means the views are as good as the food. Situated above the Whistler Gondola building with views of Whistler Mountain slopes, Garibaldi Lift Company (GLB) features an all-seasons patio packed with hungry skiers by day, and live music, DJs and a late-night party inside after the sun goes down. We asked a panel of ski and snowboarding experts to nominate their favorite post-slope watering holes, and for the past four weeks, our readers have been voting daily for their favorites. Le Chamois & Loft Bar - Squaw Valley, Calif. The Limelight - Aspen, Colo. The Dogwood Cocktail Cabin - Crested Butte, Colo.
Aspen Brewing Company - Aspen, Colo. The Bavarian Lodge - Taos, N.M.
Garibaldi Lift Company - Whistler, B.C. 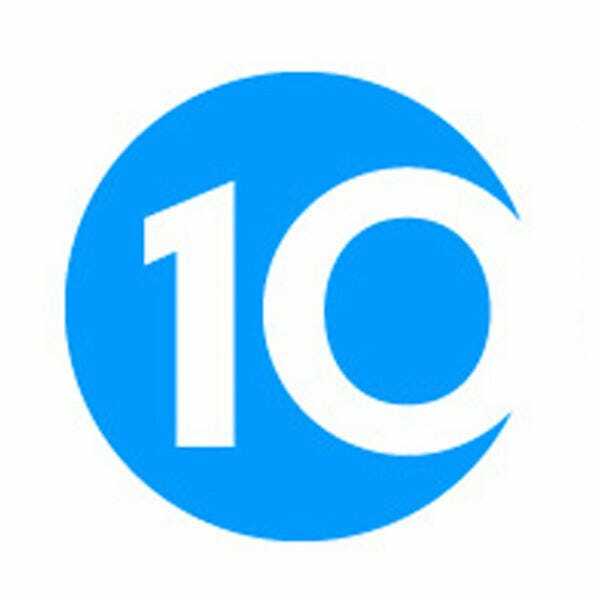 A panel of experts partnered with 10Best editors to picked the initial nominees, and the top 10 winners were determined by popular vote. Experts Wendy Clinch (TheSkiDiva.com) and Kristen Lummis (The Brave Ski Mom) were chosen based on their knowledge and experience of the North American ski scene. 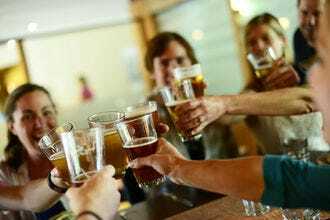 Congratulations to all these winter watering holes! Wendy Clinch is the founder of TheSkiDiva.com, the leading online community for women who love to ski. A resident of Vermont, Wendy is the author of two ski mysteries: DOUBLE BLACK and FADE TO WHITE. She is also a member of the North American Snowsports Journalists Association, and received the organization’s Harold S. Hirsh Award for Excellence in Snowsports Blog Writing in both 2016 and 2017. Kristen Lummis is a freelance writer based in Colorado focused on skiing and outdoor adventure. In addition to producing her award-winning website, braveskimom.com, Lummis writes for FIS (International Ski Federation), Liftopia, Learn to Ski and Snowboard Month and several regional Colorado magazines.